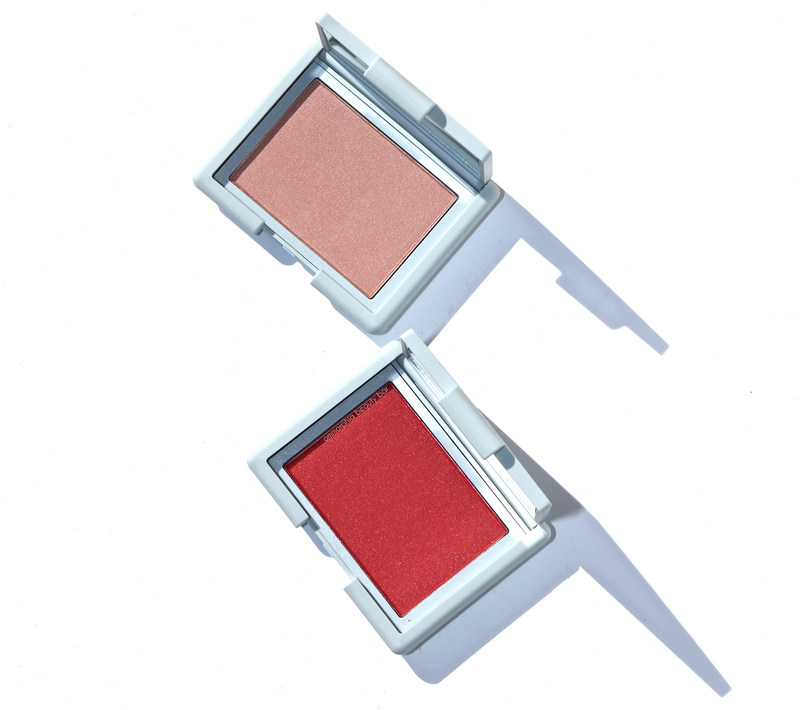 NARS undoubtedly produces some of the most amazing blushes you’ll find, offering up a large variety of colours and finishes — so it’s not surprising that both pieces in this collection have followed suit. What makes these two different, however, is the pearlescent finish that provides skin with this absolutely lovely & radiant glow. 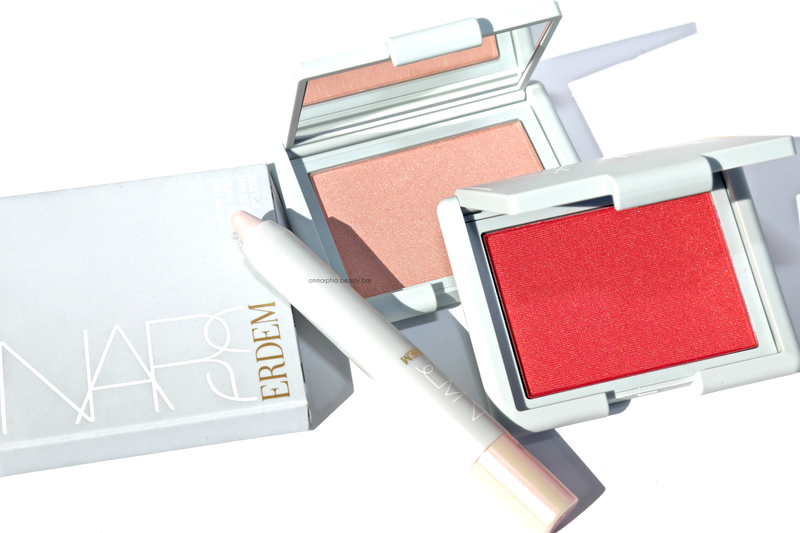 Each powder has excellent pigmentation which means a little will go a long way, although the colour is buildable in the case of Loves Me Not, and you can even combine the two for a unique new hue. Super blendable as well, staying power (over primer/foundation) is bang-on, lasting true without any showing any significant fading. 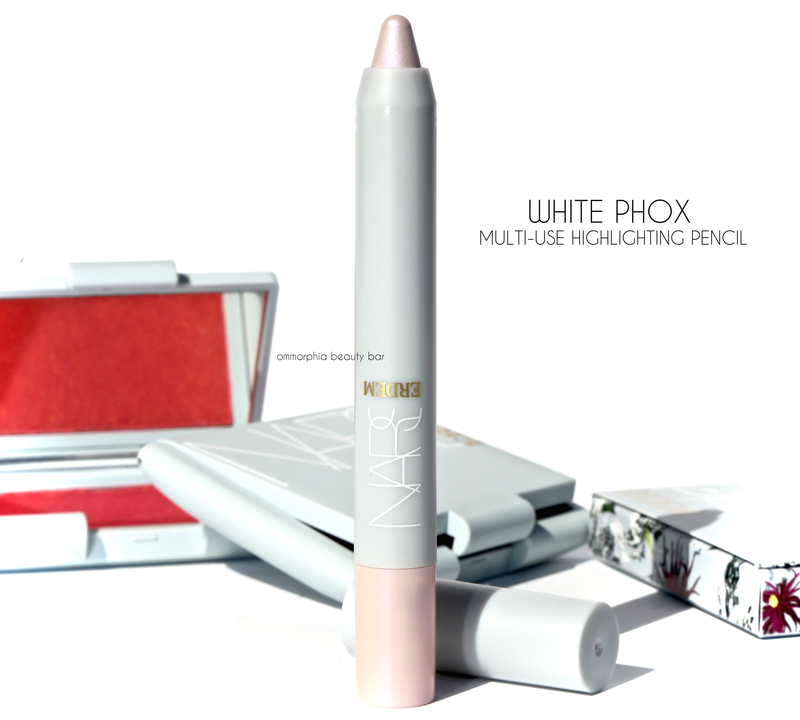 White Phox Multi-Use Highlighting Pencil (CAN $35.00) | Brand new for the brand, this is a highlighter housed in a pencil format — and probably the easiest highlighter you’ll ever use, not to mention how travel-friendly it is. With its creamy velvety smooth formula, the colour is accurately described as “opalescent lavender” and it can be used anywhere you wish to draw light to features; the point makes it easy for application in small areas (inner eye corner, brow bone, cupid’s bow of the lips), while turning the pencil along its side will enable you to deposit a broader sweep of colour. You do have some play time if planning on blending out, then it will set quite well (especially when applied over primer and/or foundation). Cool leaning, this shade can still be made to work on those with warmer complexions; it all comes down to what other colours you pair it with. 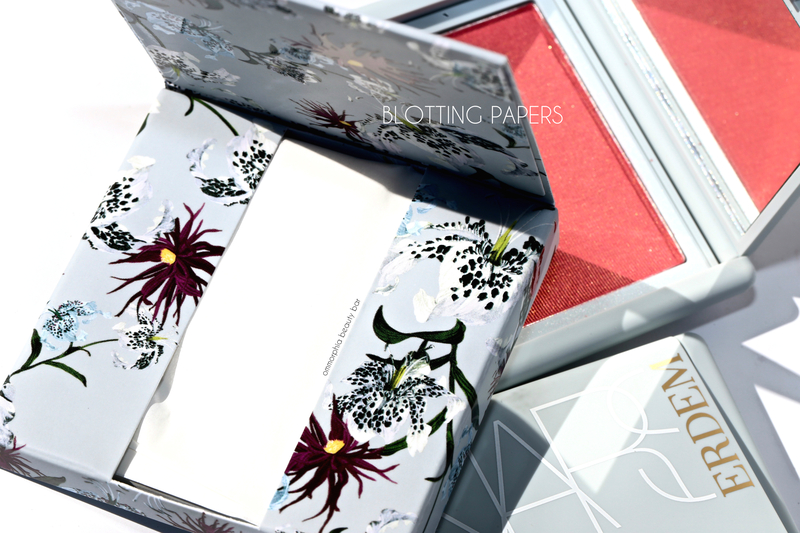 Blotting Papers (CAN $35.00) | Another first for the brand, I feel that these papers may just be the most genius product of this entire collection; I mean think of it — Summer is coming where sweaty, shiny skin can be an absolute reality, so having a little something on hand that can keep that at bay, soon turns into your beauty BFF. The texture of these papers is velvety smooth & gossamer thin, and surprisingly each sheet is more than able to absorb any oils your face has to throw at them … without leaving a powdery cast behind. As with the first part of this collection, I’m loving the pieces featured in today’s post as well but as lovely as the packaging is, it’s the actual performance of each product that impresses, not to mention how utterly wearable each item is. 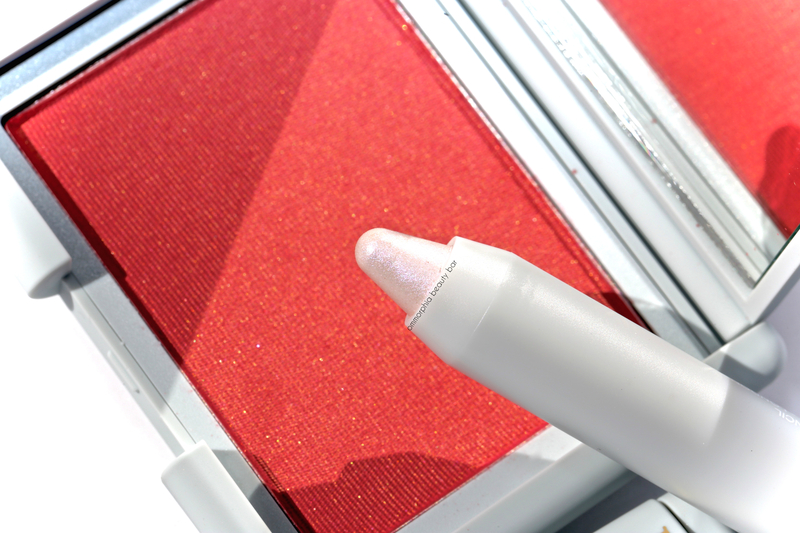 This highlighting pencil is a stunner (oh, the compliments I’ve received …) and absolutely worth picking up — think of it as your very own magical unicorn stick. 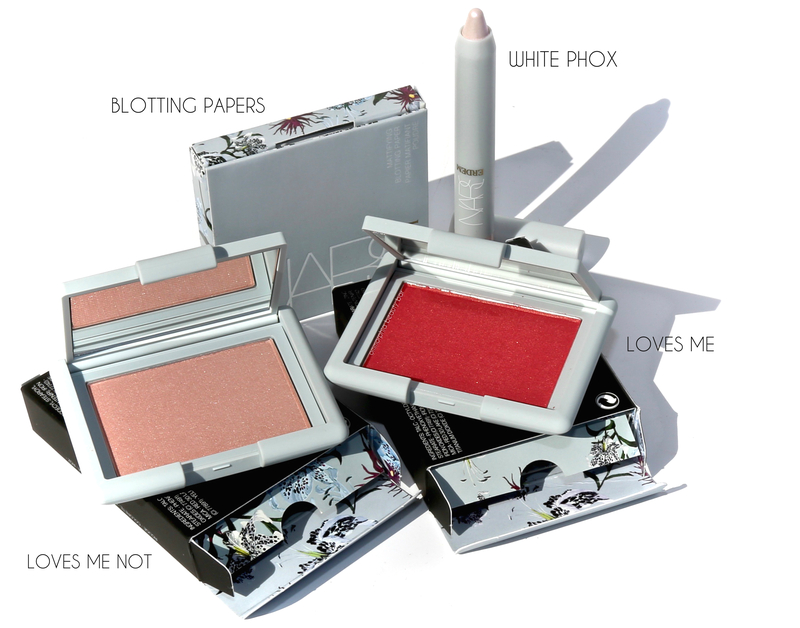 And while I get brands making certain pieces limited edition (although I don’t always like it), I personally feel that out of everything here, NARS needs to make at least the Blotting Papers permanent — hopefully before I run out. Loving that purple tone in the Loves Me Not blush. Do you happen to know how much they’ll be retailing for? Thanks for your question, Emily – you made me realize that I had forgotten to add the pricing in! Each blush retails for CAN $38.00 – hope that helps! My apologies, I’ve seen it spelled both ways in different reviews but I believe you have it right. Not a problem! In fact, I thought there had been a typo as well, especially since there is such a flower as a “phlox” — I actually double checked all my press info and sure enough, it’s “phox” — François Nars is well known for his love of playing with words, so I guess it’s not all that surprising in this case! 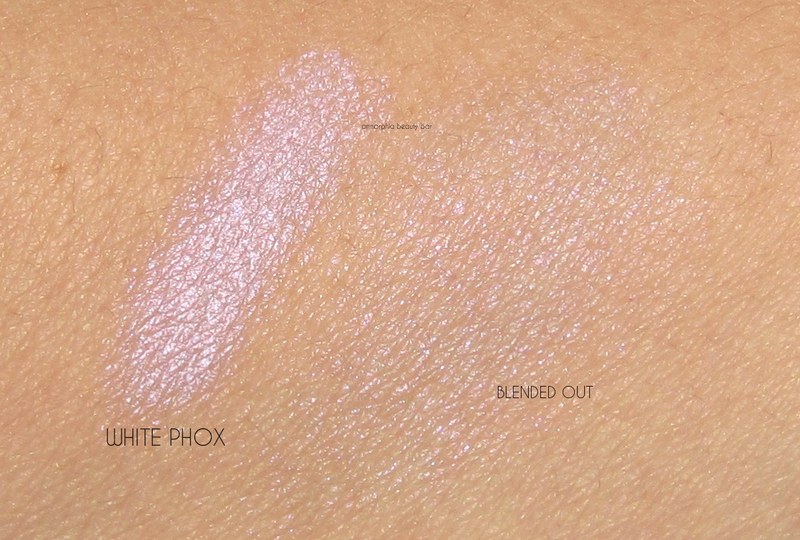 It’s White Phlox not Phox.